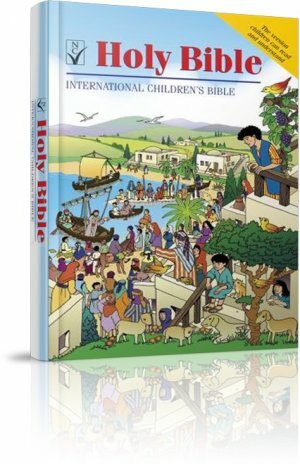 The International Children's Bible gives you an authentic Bible translated from the original texts specifically for children aged 6 to 12. Unlike many 'children's Bibles' this is not an adult Bible repackaged for children. Written with British English spellings and grammar, it is a new translation that uses words and phrases the children use and understand in English that can be read and the meaning grasped by children reading for themselves. So clear is the language of the International Children's Bible (ICB) that many adults prefer to read this version rather than those written for adults. The key to its success is the simple, direct language and plainly constructed sentences. Laid out in large easy-to-read type and in two columns - which means shorter, easy to follow lines, its short sentences and simple, modern vocabulary together with over 40 pages of maps, illustrations and a dictionary, this Bible is a delight to read for yourself or read aloud to your children. ICB Children's Bible Pack of 25 was published by Eden bundles in March 2016 and is our 4979th best seller. The ISBN for ICB Children's Bible Pack of 25 is EDENBUNDLE-1722. 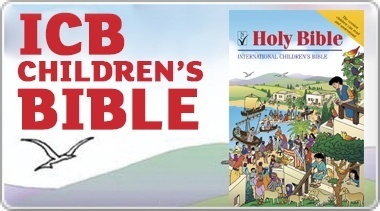 Be the first to review ICB Children's Bible Pack of 25! Got a question? No problem! Just click here to ask us about ICB Children's Bible Pack of 25.